You might look at troubadour Leif Vollebekk’s new video as a contribution to the slow TV movement. It’s not like your traditional music video in that it’s six minutes long and devoid of any jump cuts, flashing lights, or over-produced graphical elements. It unwinds at a storyteller’s pace in the same way that Ottawa-reared Vollebekk does on his newest album North Americana. It was released in Canada last year and debuted in the U.S. yesterday, with a video premiere on Paste Magazine’s site. The video, for the song “When the Subway Comes Above Ground,” was produced by Belle Orchestre’s Kaveh Nabatian and started as an exploration of Montreal’s underground. As filming progressed, Nabatian and Vollebekk realized they were seduced much more by the people than the space. The final cut serves the song well. The tune is about all those “weird little public transportation moments,” Vollebekk explains, and in watching the video you get a sense of all the random connections. Here are some other armchair-philosopher takes on themes in the video. The travellers in this video all seem to be twentysomethings, but they aren’t bearded, over-spectacled or faux-menacing in that hipster way. Their disaffection seems genuine and you can’t get away from their stares. Long close-up shots of faces coming into focus give you a sense of shifting identities and of people moving without progressing. 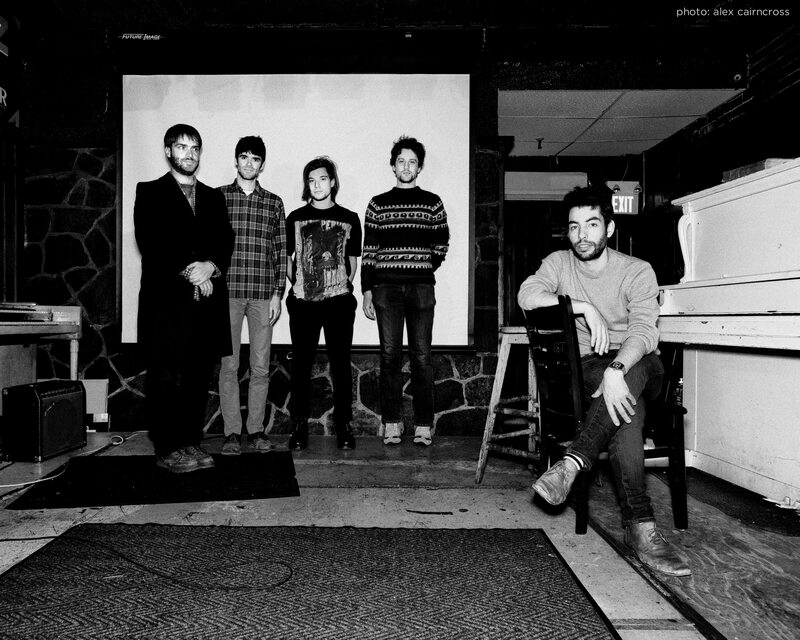 In April, Vollebekk will launch an American tour with William Fitzsimmons. This week Vollebekk, now living in Montreal, returns to the capital for two dates. They are full-band shows with musicians Parker Shper (pump organ/wurlitzer), Phillipe Melanson (drums), Adam Kinner (sax) and Hans Bernhard (upright bass). The January 29th show is sold out. Tickets remain for the Thursday, January 30th Arboretum Fest show at St. Alban’s Church, 454 King Edward Ave.